The data from highspeedinternet.com show that people are most likely looking for a place to eat or shop — or a way to recover from a night of celebrating. Find out what each state thought was most important. WASHINGTON — New Year’s Day is a time for reflection, resolution and improvement — and/or any way to get through the next few hours with a splitting headache. And the folks at highspeedinternet.com have the data to prove it. 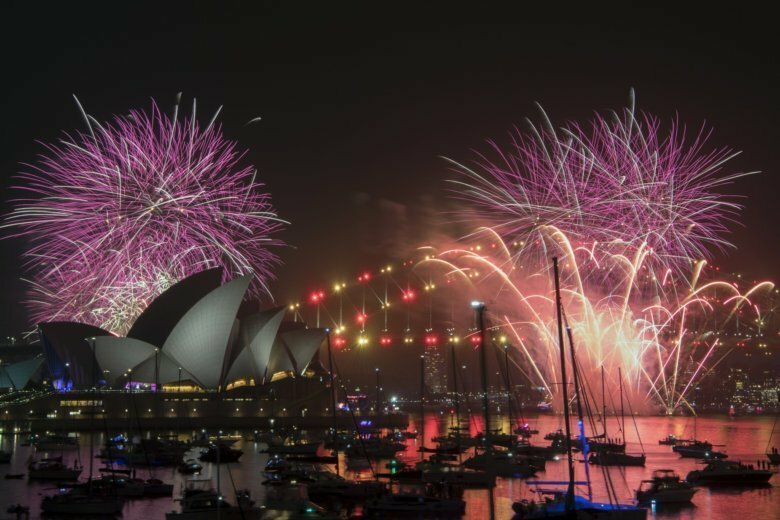 They took a look at the most-searched terms on Google Trends on New Year’s Day 2018 and broke it down state-by-state. In Maryland (as well as Delaware), the most searched-for term was “IHOP.” That’s the kind of “breakfast” you need after a New Year’s Eve of celebration. A few of the other states’ results were a little puzzling. 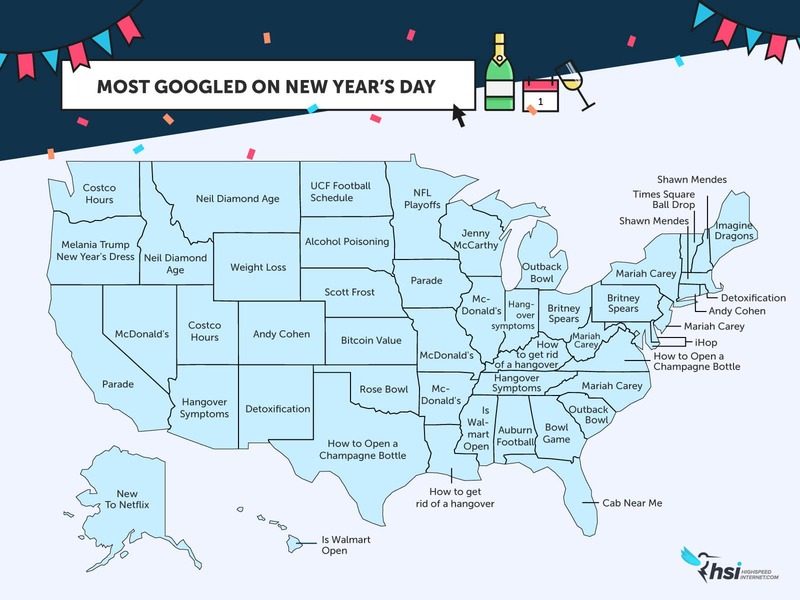 In Indiana and Arizona, they searched for “hangover symptoms.” It’s kind of self-explanatory, people. Florida was the most responsible (?!) state, with “cab near me” coming out on top, while several states got down to business, asking whether and when stores such as Costco and Walmart were open. And in New Mexico and Rhode Island, they searched for “detoxification.” As the highspeedinternet.com folks point out, it’s not clear whether they meant a detox diet or whether they were looking for more than the usual hangover cure. As a native Rhode Islander, I know which way I’m betting in the Ocean State’s case.